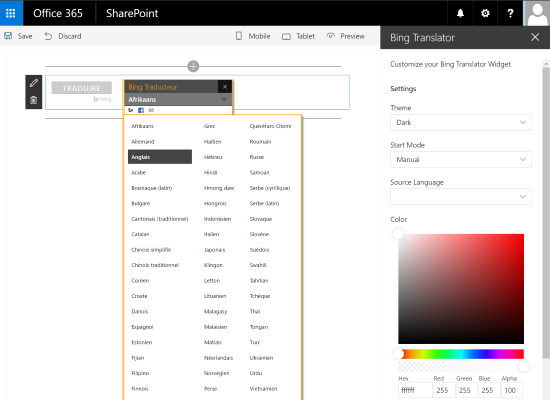 The Bing Translator Web Part is a SharePoint client side web part built with the SharePoint Framework (SPFx). This web part insert a Bing Translator widget in your pages. With this widget, the user can translate automatically all the content of the current page in a target language.